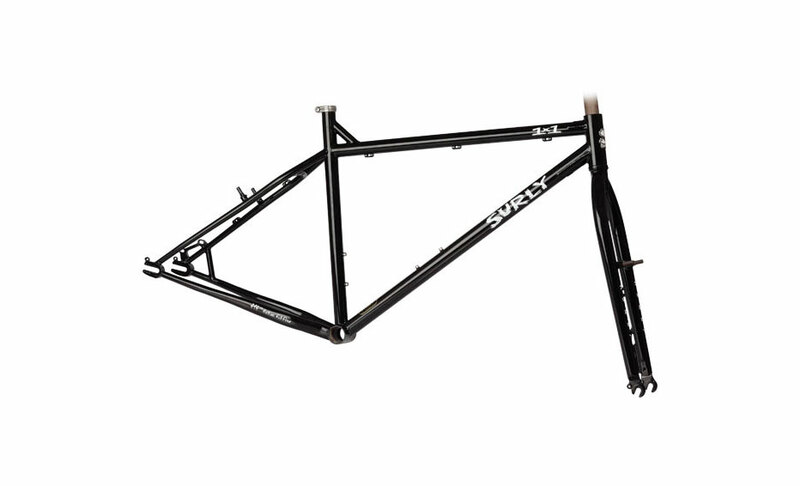 Here you find the venerable 1X1, the frame whose name is synonymous with singlespeeds the same way people call facial tissue Kleenex. The 1X1 was designed for 26″ wheels, big tires, and single gear and cog drivetrains, like freewheeled singlespeeds, fixedgear, and even internal geared hubs. No derailleur hanger, no housing stops or line guides for derailleurs. The 1X1 is simple, durable and beautiful.